Get the newest Flash Player here! Compete with hundreds of thousands of international managers. 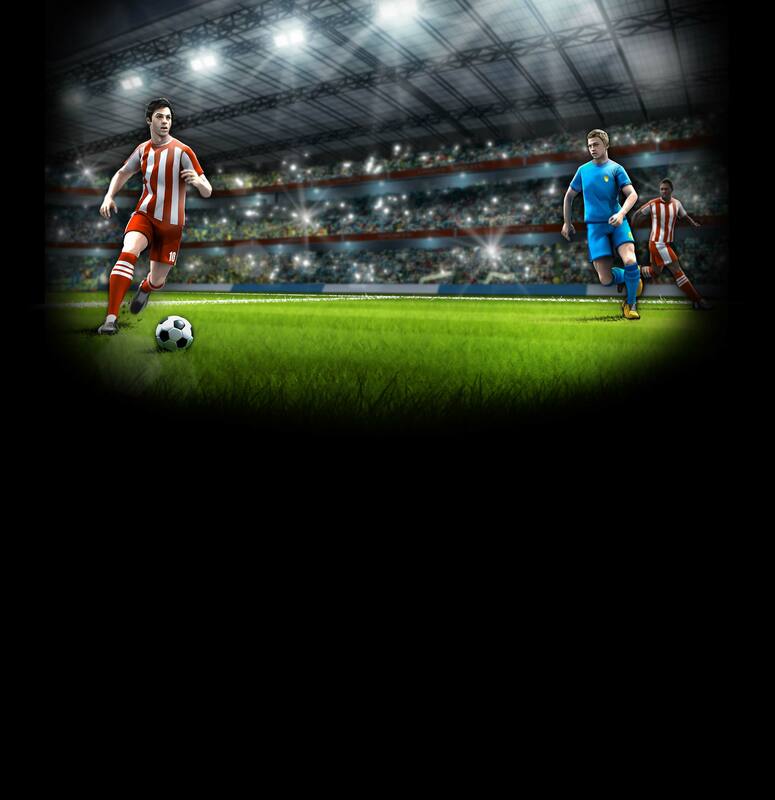 Play friendly matches, cup and league matches every week for free. More matches, new strategies with trading cards and exciting play-offs deciding relegation and promotion. 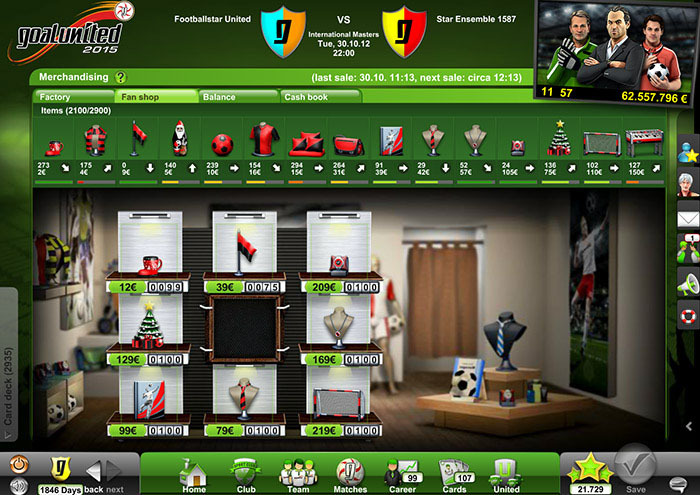 Increase your income and promote your players by building your own stadium complex. Innovative graphics create a complex gaming experience and simple usability. Compete with friends and collegues in your own events. 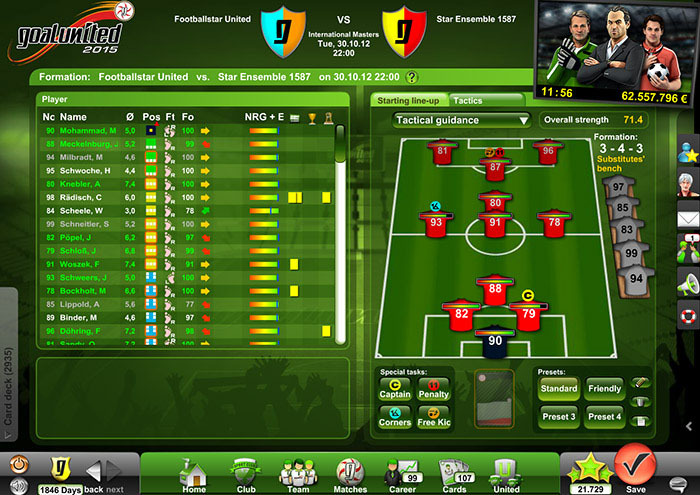 Goalunited wins the "Deutscher Entwicklerpreis 2007"
Great success for goalunited! 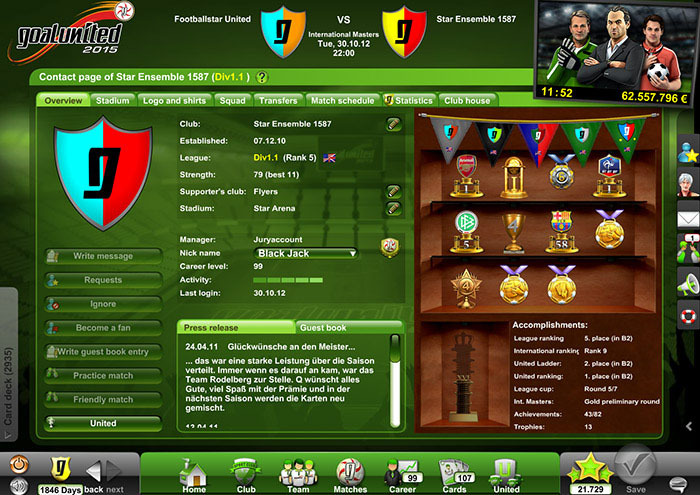 As one of the best sports manager games worldwide goalunited was awarded the 2nd place in 2007 at the german developer price presentation (Deutscher Entwicklerpreis) in the category "Best sports game". On December the 13th 2006 the german developer price 2006 (Deutscher Entwicklerpreis 2006) was awarded in Essen. 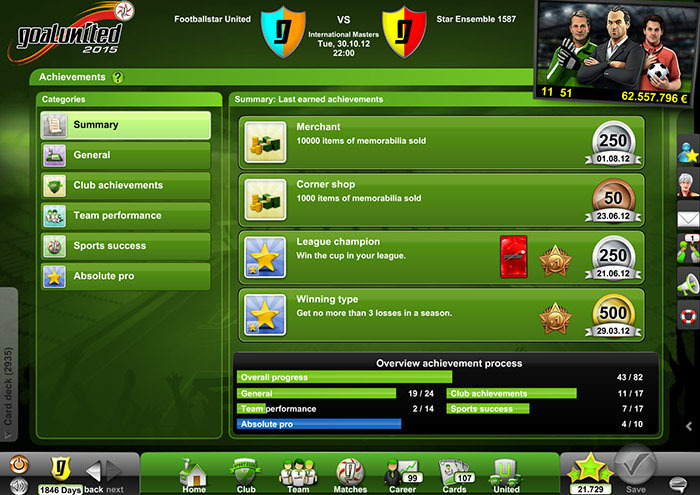 In the category "Best Browsergame" goalunited was ranked 3rd. Additionally goalunited was awarded with the 3rd place in the category "best community support". Our goalunited fans confirm that. goalunited has been chosen as "Best Game of the Year 2007" by the readers of the magazine gdynamite. This poll was active for two weeks in which gdynamite mobilized over 50,000 voters. In the category "Big games (more than 10,000 players)" goalunited was ranked 2. place! This award was made possible thanks to our players and fans!